I know why I’m here, and as we stand at the ending (THANK GOD) of 2017 and at the threshold of 2018, I find myself even more aware of who I am, my purpose in this life and all the resources that have shown up along the way to make up the unique gift and call that I bring to the world. This is a calling so unique (and yet so simple and so universal) that words almost always elude me. I have yet to find “the elevator speech” which adequately describes who I am and what I do. What I do is kind of like my mom’s “Everything but the Kitchen Sink” soup…..there’s a little bit of this, a little bit of that, a pound or two of this, and a splash of that……all of which comes together to make the most amazing winter soup in the whole wide world. 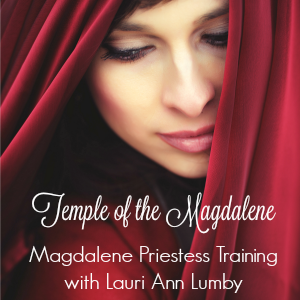 On one hand, I am here to be and fulfill the Magdalene Mission. 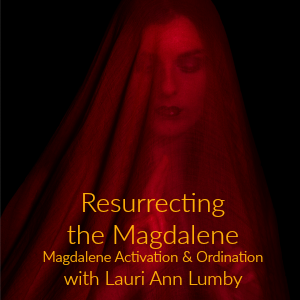 Restoring Mary Magdalene to her rightful place in the Christian narrative, and in doing so, restoring women to their rightful place in the continuing mission of love, and in doing so, restoring the lost feminine to what once honored and empowered women equally with men but which very quickly sold the feminine out for the patriarchal norm and which then systematically sought out the destruction of anything that resembled feminine power. In restoring the feminine – reclaiming the INNER aspects of Jesus’ mission of love. Inner aspects which include: the primacy of contemplative prayer and meditation, the journey of self-knowledge, the process of becoming self-actualized (coming to know our unique giftedness and calling and being empowered to use these gifts for the sake of our own fulfillment and for the betterment of the world), which honors the inner authority (God) over any outside perceived authority and over any laws made up by man, which understood ritual as a vehicle of celebration and worship and not as a requirement for salvation. In reclaiming the inner – restoring egalitarian, collaborative, cooperative models of leadership and in the building up of community. 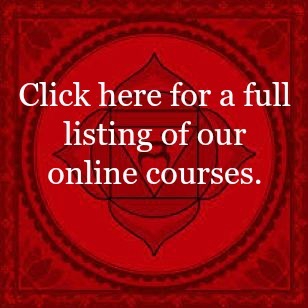 Understanding the purpose of community to be that which supports and empowers individuals in self-realization, knowing that in doing so, the community and therefore the world are enriched and made better. In doing all of the above, our understanding of the mission of Jesus is completely transformed. No longer do we believe that Jesus came to start a new religion, or to create anything that might separate one human being from another. We come to understand that Jesus’ mission had nothing to do with religion, tribe, nationality, gender, etc. but had to do with only one thing….and that one thing is UNIVERSAL. When you mix this all together and put it in the crockpot, like my mom’s “Everything but the Kitchen Sink” soup, it boils down to one thing: LOVE. I am here for the purpose of Love. How are you supporting yourself in living out your purpose?